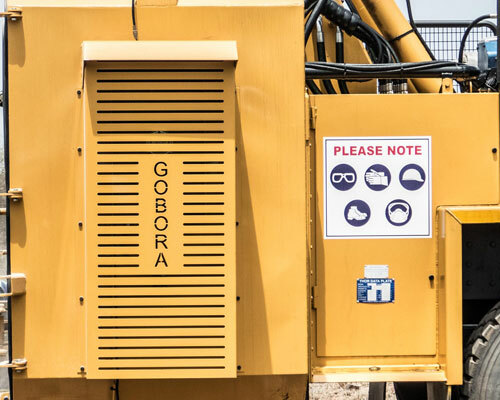 Gobora Drilling is committed to provide a safe work environment to all its employees with their health being our foremost concern and responsibility. Gobora Drilling undertakes to safeguard employees, clients and the public in general from injury and nuisance or risk to health arising from the operations associated with the business. Employees are encouraged to participate in all matters related to Health & Safety, ensuring transparency at all times. Our employees also passed a first aid training course. Safety Training plays a pivotal role in establishing a culture in which people instinctively act in a safe way. That can only happen if the people operating machinery are properly trained. As part of a process of continuous improvement in all aspects of the business, health and safety standards are constantly reviewed and improved. All our operators and foreman have attended and passed a certified skills training course on our drilling rigs which ensure that together with their practical experience they are able to provide the best and safest possible operations on our rigs. We are happy to state that during our history of operation we have had no serious accidents, which we consider a great achievement given the dangerous nature of operating heavy machinery.